Today’s executives and other high level professionals, including physicians, other allied health care providers, civic leaders, and business owners, face challenges that are particular to the current work culture of our society. Increased scrutiny and emphasis on profits mean heavy workloads and inordinate amounts of responsibility, not necessarily with an accompanying increase in pay. Often, professional success is inextricably intertwined with stress, anxiety, depression, and/or despair. For physicians, the increased workload is accompanied by seemingly endless paperwork that interferes with serving your patients. Up to 40 percent of U.S. doctors experience emotional, physical, and psychological burnout from their jobs, and many others report decreased satisfaction. Medicals errors and malpractice lawsuits are on the rise, as are substance abuse and suicide rates. Mood and anxiety disorders are common in high achievers. It is the double-edged gift of the gifted that you are more sensitive, more aware, more thoughtful. Sometimes your nervous system has difficulty handling the preponderance of mental energy. If that’s the case, psychiatric evaluation and treatment may help you enjoy a more solid sense of wellbeing and satisfaction, both on and off the job. My approach to assessing and treating professionals is to provide a safe, confidential environment where you can be yourself and talk about what’s really going on inside you. As a fellow high achiever, I understand the irony of attaining professional and personal success and, somehow, still feeling that it’s not enough, or it’s not perfect, or worrying that it will all disappear. 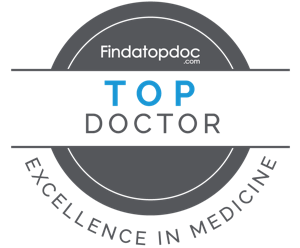 I review your medical records, personal and medical histories, past psychiatric treatment, and other relevant information and discuss comprehensively what you need right now, while respecting your valuable time. As a psychopharmacological specialist, I take a conservative approach to medication. If together we decide that a psychopharmacology solution is the best course of treatment for you, I will provide careful, confidential monitoring of your medications after considering the risks, safety and benefits of the medications, and keep you abreast of medical advances that are constantly occurring. High-level professionals suffering from a wide range of mental health conditions, including anxiety disorders, depression, insomnia, OCD, hypomania, bipolar disease, addiction, PTSD, neurological disorders, and other afflictions, can achieve contentment and an increased sense of wellbeing with appropriate psychiatric treatment. Among high achievers, I treat physicians, high-profile CEOs, attorneys, nurses, dental professionals, and advanced degree students. I also provide complex consultation and second-opinion comprehensive evaluations. It’s normal to feel some level of stress. But when that stress starts to affect your physical health, relationships, and leisure time negatively, it may be time to seek help.